Here is the link to the Sherrill S. Cannon Interview by Laura Davis! This entry was posted in Award-Winning, Children's Picturebook, Christmas, Consideration for Others, Uncategorized on November 26, 2014 by Sherrill S. Cannon. This week’s giveaway runs until November 30. Giveaway open to Canadian, U.K. and U.S. residents only. Two Christmas stories are combined in one beautiful little book that is sure to become a traditional read at Christmas time for many families. The author has created a delightful story that is both poignant and magical, keeping the real meaning of Christmas alive and answering the questions, who is Santa Claus and what does he have to do with the real meaning of Christmas? This rhyming book takes Santa on an adventure from a simple toy maker to a star follower. He follows the star right into Bethlehem where he meets the baby Jesus. When he sees that gifts are being given to Jesus, he wants to give his most precious gifts too – toys! When he discovers something magical about his Christmas sack, he vows to bring toys to every child in the world in honour of the newborn King. This entry was posted in Uncategorized on November 26, 2014 by Sherrill S. Cannon. Such fun to find a wonderful new place to share my books! Allie helped by greeting and giving out stickers… The store has already ordered more of Santa’s Birthday Gift!! 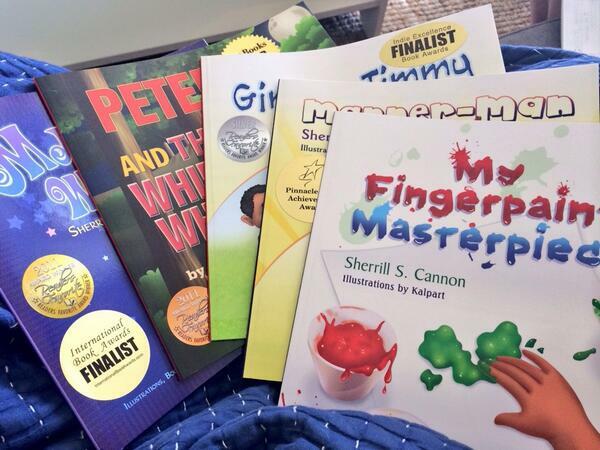 This entry was posted in sherrill s. Cannon and tagged Award winning, bookreading, booksigning, Christmas, holiday, learning Express, Sherrill S. Cannon on November 24, 2014 by Sherrill S. Cannon. Santa’s Birthday Gift by author Sherrill S. Cannon is a book I wish my kids could have had as children. This book is a Reader’s Favorite Winner and an Indie Excellent Finalist and one you are sure to enjoy with your children each and every Christmas. 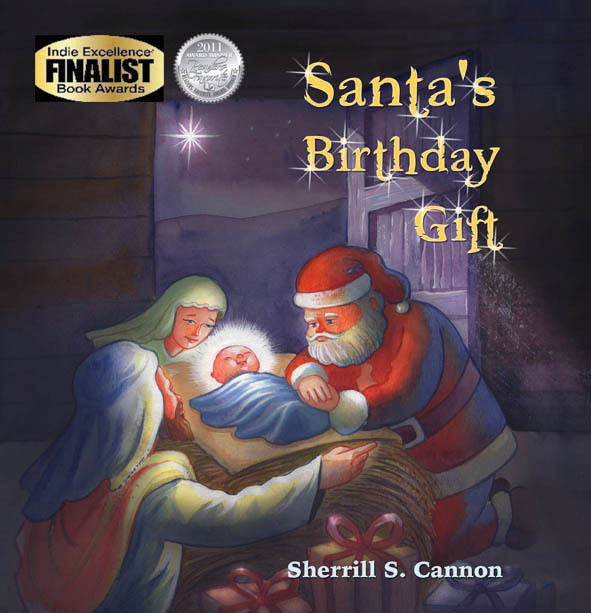 This entry was posted in Uncategorized and tagged Award winning, Children's book, Christmas, Kneeling Santa, santa, Santa's Birthday Gift on November 21, 2014 by Sherrill S. Cannon. 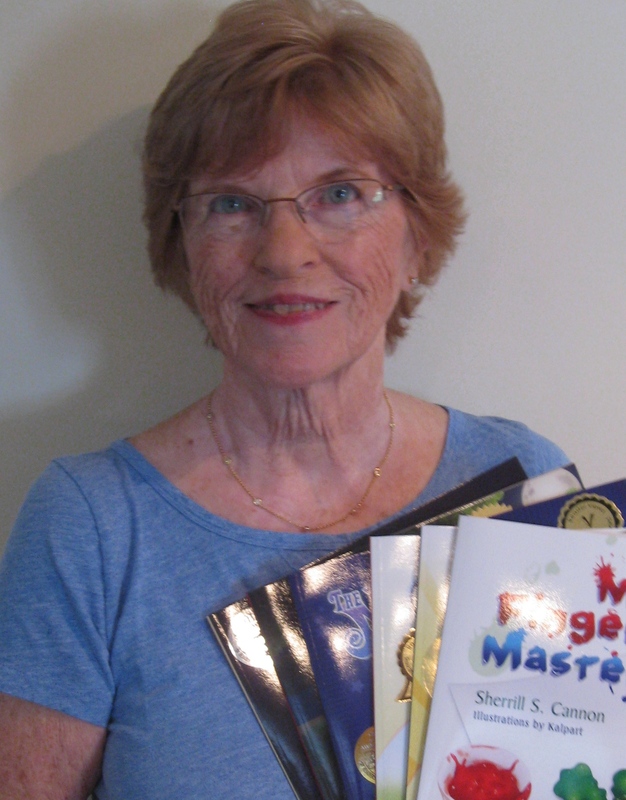 Book Signing Event at Learning Express, Richboro, PA – Sunday, Nov 23rd, 2-5! 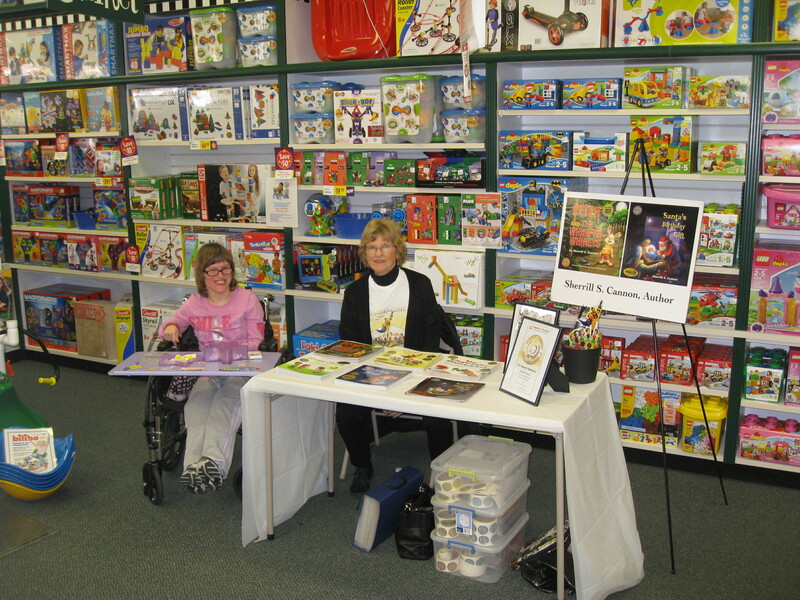 I’ll be at the Learning Express in Richboro, PA on Sunday, Nov. 23rd from 2-5… Please join us! will be joining us for Story-time and Book Signing this Sunday! while capturing important life lessons. A true delight for all children. Books will be available for sale to get signed. This entry was posted in Uncategorized and tagged booksigning, learning Express, Sherrill S. Cannon, story-time on November 20, 2014 by Sherrill S. Cannon. This entry was posted in Uncategorized and tagged blogtalkradio, interview, La Literati, Sherrill S. Cannon on November 20, 2014 by Sherrill S. Cannon. Books make great Christmas gifts!!! This entry was posted in Uncategorized and tagged Award winning, chidlren's picturebooks, Childrens Books, gifts on November 19, 2014 by Sherrill S. Cannon.